We have looked at how to make a complaint by telephone so we should now explore how to make a written complaint if - for example - the fruits of your telephone conversations have not been as a successful as you might have hoped. When Should I Make My Complaint in Writing? You may be asked as soon as you make a complaint by telephone to do so in writing and it is important at this juncture to ensure you have as much information as you need in order to do so. A company or business may have a specific complaints procedure which may demand that all complaints be formally made in writing and if this is the case then they should be able to provide you with written details of how this procedure is carried out. After you have made your initial telephone call regarding your query is normally the best time to compose a written letter of complaint. What Should My Letter Contain? In essence your letter should contain initially details of the reasons why you feel compelled to make a complaint in the first place. This is often the result of bad service, a damaged product or perhaps disruption to a utility so it is important to be precise about dates, values of money and the names and positions of those involved. 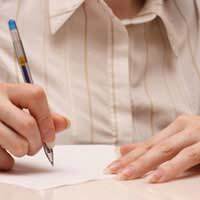 To simplify your letter should consist of Introduction, Information, Resolution and Close. Who Should I Address My Letter of Complaint To? Again this is something you will have to ascertain when you initially make verbal contact with the company responsible. You should ask at this point to speak to the person in charge and if he or she is not available ask for their name, position within the company and details of telephone numbers, extensions and email addresses. Can I Email My Letter of Complaint? Yes you can and many individuals are now using Electronic Mail for this purpose as it speeds things up considerably. However you should ensure before you send any emails that you have the correct name, correct email address and that you have acquired this information from the company itself. You should be aware that sending unsolicited emails is now against the law and you must have either the permission of the e-mail's recipient or the company they work for. Should I Send My Letter by Post Anyway? It will do no harm at all to send an addition copy through the post; this will give you the opportunity to enclose copies of purchase orders, invoices, warranties or any such other information that could not be attached to an electronic mail. It also does no harm to send your letter by registered mail thus enabling you to prove that the company - and the recipient - received your complaint in writing. Seven working days is normally plenty of time for a company or business to respond to any letter of complaint you file. You may find that you will receive a telephone call from the company well in advance of this deadline with a view to making arrangements to visit you if it is a case of damaged goods on arrival or faulty equipment. Likewise this is more than enough time for any company to send you a reply via the postal service. If they have not replied to you in any manner by the end of this seven day period then you should contact them again yourself by telephone and ask if they have received your letter. If you have registered your letter before posting then you should check with the Post Office - this can be done online using their tracking service - to see if the letter has been delivered and also obtain a copy of the signature of the person who signed for it. Again it is worth keeping notes as to the nature of your communication, how often you have communicated with them and the names and positions within the company of those people you have spoken to. @benny - You can make a complaint via the link here. I hope this helps.